lol, I'll try and whip you up something today. Desaturated is easy, it's the colouring that makes wallpapers hard, I've always thought. Now, you didn't want one completely in black and white just not bright and crazy, right? ...you're quick! I feel a bit guilty now because my resolutions higher - 1680x1050. Any chance you could do the second one in bigger size? Uncrop it? Or does it get pixelated?? I really like the second one so much, one of the best promo images in Supernatural am I right :D? The touches you've made to the lighting and colouring are brilliant - that paled down green glow is lovely with the dark shadows in the background. It's not as desaturated as I imagined, but it works man. I LIKE it :D.
lol, thankyou :D They each took me about 15 minutes. Yes, you're absolutely right, best promo ever! 2. So what exactly does this new tool do? I will have to try it out this afternoon. 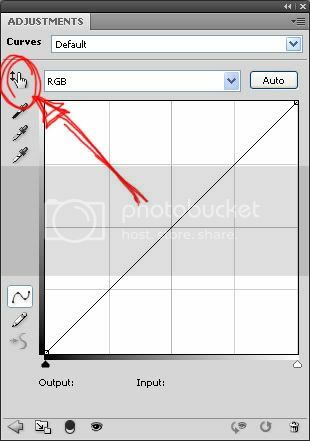 2. you just click on one part of the picture and you can directly modify the curves for that one part by dragging up and down. It's a bit hard to explain, but it's really easy to do/understand when you're actually using it.